Grow your chapter with a solution created to streamline the fraternity and sorority recruitment process. Bidlily and Select-A-Sis have merged with OmegaFi to offer superior service and recruitment tools for your chapter! OmegaRecruit keeps all your chapter’s recruitment data in one place. Detailed graphs are always available providing trends, comparisons and measurements of the chapter’s votes, PNMs and voting members. 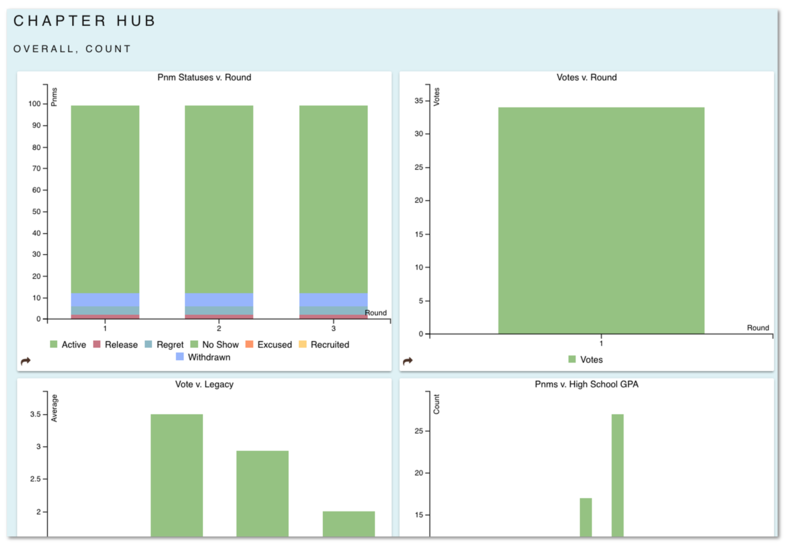 Graphs display information via counts, averages and standard deviation so that you can make the right decision with every vote. On the PNM list, chapters can add tags allowing you to customize and organize your PNM list by creating groups or categories of PNMs. These tags can be for positive things like designating a PNM as a ‘legacy’ or a negative like ‘grade risk’. Alleviate some of the work that you have to do when deciding which member should talk to which PNM. 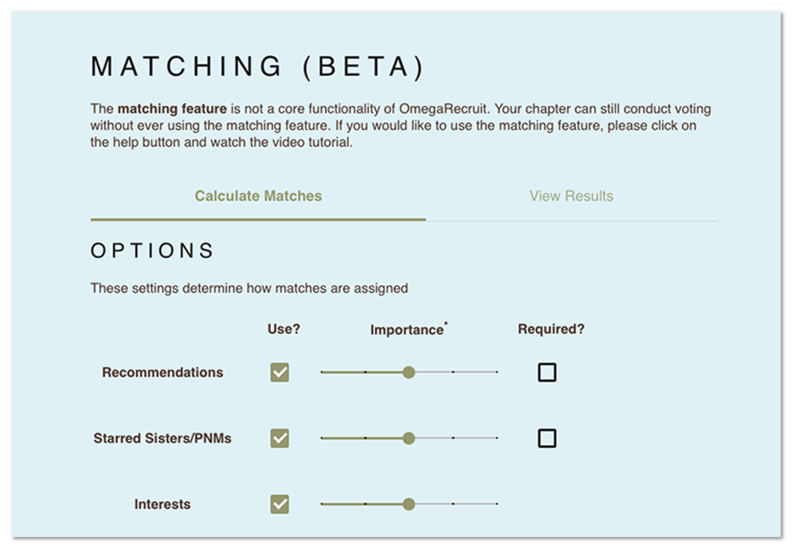 When members submit votes they have the option to suggest a match of another member to a specific PNM. You can set preferences for the matching feature based on a set of criteria. A match report can be exported to Excel or PDF for quick access, too. 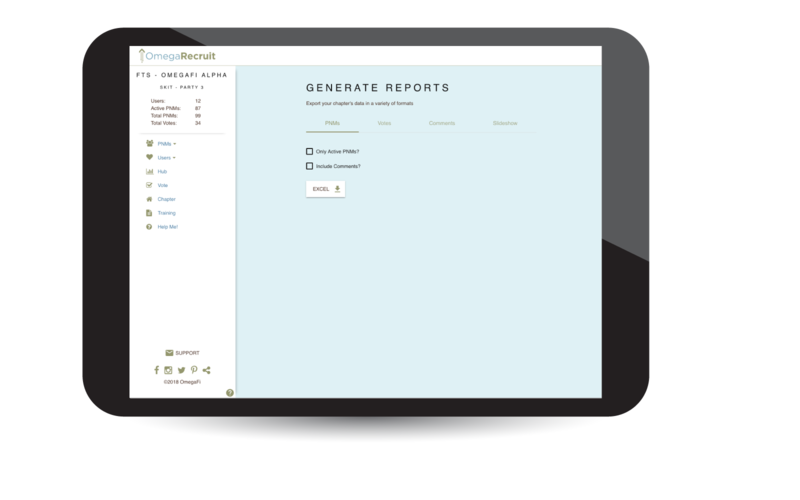 OmegaRecruit offers a variety of reports for the chapter. These include, a PNM Report, Votes Report, Comments Report and a Matching Report. 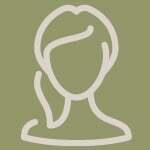 All reports can be exported to Excel and/or PDF for the chapter’s convenience. Variations of the reports are available based on how chapters want to see data. For example, the Votes Report can be pulled by user or PNM and chapters can choose whether to include the vote values. 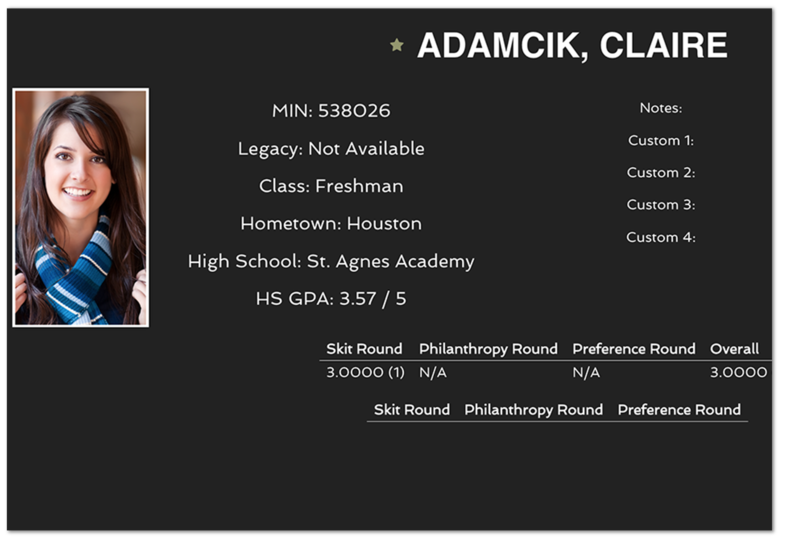 In OmegaRecruit there is an in-browser slideshow. The slideshow pulls information from the PNM list that is already in the system. This makes it easy for admins to show members who are going through recruitment and they do not have to duplicate their efforts by manually creating a slideshow in PowerPoint. 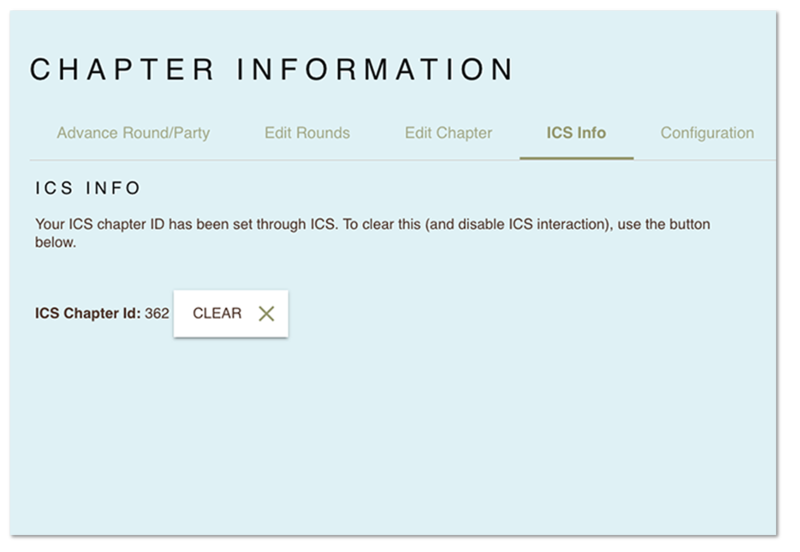 Chapters can customize the amount of information voting members can see on a PNM’s slide as needed. OmegaRecruit is integrated with ICS. Chapters at universities who use ICS can simply select OmegaRecruit as their third party provider and receive their Potential New Member (PNM) list. Parties are updated automatically from ICS. This cuts out administrators uploading spreadsheets for each party and round. Keep recruitment moving! 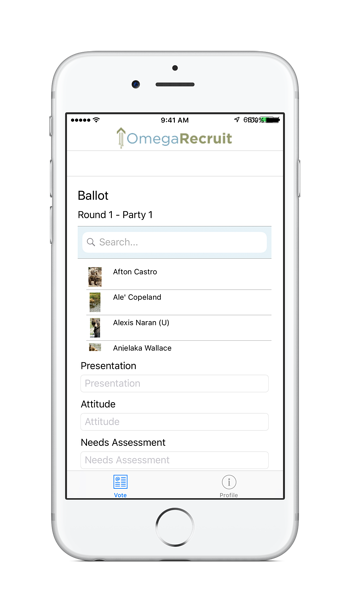 With the OmegaRecruit mobile application you can securely store recruitment data, vote in real time and add comments to the PNM records. 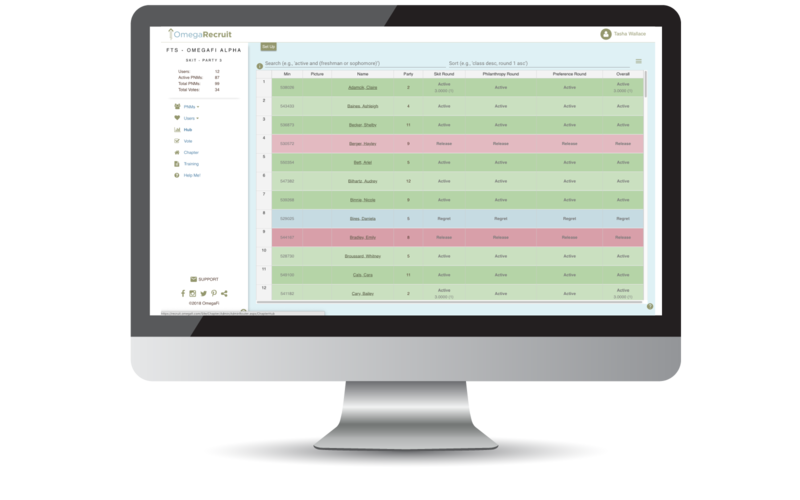 Streamline and organize your recruitment process while growing your membership.